Welcome to Valentin Magro New York. Please read these Terms and Conditions (Terms) carefully. By continuing to use Valentin Magro New York (Website,) you are indicating that you agree with the company’s Terms. If you do not accept, please discontinue visiting this Website. The provisions on this section are subject to change without prior notice. In order to stay updated, we recommend that you check this page from time to time. We strive to provide accurate information on our website, however, errors both human and technological can happen in the form of omissions, inaccuracies relating to pricing or availability, or incomplete information. Valentin Magro New York reserves the right to correct omissions, or inaccuracies at any time, including after an order has been placed. We apologize for any inconvenience this might cause. Valentin Magro New York office is located at 42 W 48th Street, Suite 903, New York, NY 10036. Valentin Magro New York accepts all major Credit Cards including VISA, American Express, MasterCard and Discover. We also accept Paypal and Wire Transfers. All prices listed on our site are in United States dollars and all payments must be made in US currency. Valentin Magro New York does not charge a clients’ credit card before the item is ready to be shipped. All payment information needs to be provided during an order’s placement. Once we are ready to ship the item, we will process the payment completely and email our customers informing them that their card has been processed. If funds are declined we will contact you immediately. All fees are due before items are shipped. If the money is not received, the item/s will not be shipped. When paying with a wire transfer, items will not be shipped before funds have been cleared by our bank. Please refer to our Payment Policy for more details. All domestic orders are shipped via FedEx, free of charge. Shipping methods used are based on the total cost of the order placed, before tax or applicable discounts are added. A customer may choose to upgrade to a faster method of transport, which are available for an additional charge. These alternate means are indicated when you checkout from you shopping cart and a menu of delivery options appears. Please refer to our Shipping Policy for more details. Due to system delays, displayed inventory may be slightly inaccurate. All prices are subject to change without prior notice. Valentin Magro New York shall not be held responsible for any inaccuracies or typographical errors. If you make a purchase with an incorrect price, we will inform you of the error and update the order. If you so choose, you may cancel the purchase. If an item that has been ordered is out of stock, we will contact you immediately and ask you to choose a different item from our site, or to allow us to find an item similar to the one you chose originally. If you choose to cancel the purchase instead of processing replacement, we will do so. We cannot guarantee that www.valentinmagro.com will be compatible with all of your hardware or software. Some web browsers may display pages of our site in a different way than they actually are, for example the color of images may not be the same as the actual product. Our website might have some downtime due to updates, modifications or any issues that might occur. If you need assistance urgently you may contact us at 1-212-575-9044. If an item is not what you had expected, or for any other reasons you wish to return your purchase, you may do so for a full refund or exchange. Merchandise must be returned to us within 30 days of receipt, customers are responsible for return postages. If we do not receive the item within this time period, we will not accept the package and it will be returned to the sender. All products must be sent back with the security tag attached, unworn and undamaged. The product cannot have been altered in any way such as re-sized or engraved. 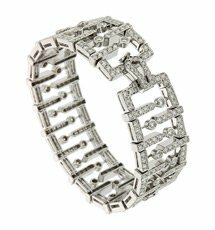 Jewelry will go through an inspection as soon as they are received. If we notice that alterations have been made or find any damage, the items will not be refunded. Special orders or custom made items including personalized or engraved items are not returnable. All ORGINAL diamond or colored stone certificates as well as a copy of the invoice must be included in the package in order for a full refund to be issued. No exceptions. Please refer to our Return Policy for more details. 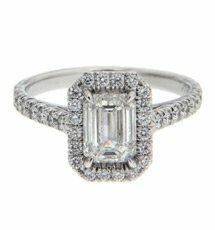 At Valentin Magro New York every diamond we sell is authorized, certified and warranted to be conflict free. We only purchase from and deal with suppliers who are professional and respected uphold the standards of the Kimberley Process. Please refer to our Conflict Free Diamonds page for more details. If you would like to cancel an order please notify us as soon as possible at +1-212-575-9044. We are unable to accommodate changes or cancellations on special order requests and/or orders that have already shipped. You may inform us of issues you might have encountered on our site or with any of our personnel by sending us an email at service@valentinmagro.com, or by inserting your comments in the “Contact Us” form. We will take all provided details seriously and will follow the necessary steps to make sure that future experiences are on a better note. Sometimes in rare instances, no help is needed. In the morning, a person may shave, style their hair or apply lotion. Their afternoon may consist of going to the gym to promote their muscle tone, and prepare for a night of glamour with the aid of makeup. We often give ourselves little treatments throughout the day to improve our appearance, to make ourselves better than we originally were. Gemstones frequently have a similar experience, undergoing aid from human hands to present their best possible selves. Perfect gemstones with optimal color and durability are extremely rare in nature. Treatments are used by stone cutters to improve the appearance, durability and value of a gemstone. When a gemstone is altered by human hands in a way that is neither cutting, faceting nor polishing, it’s been treated. The end result may be permanent or require special care and handling to look its best. Among the many common treatments is cedar oil to fill inclusions on an emerald’s surface. This practice, known as fracture filling, enhances an emerald’s apparent clarity while improving its durability. Nearly all tanzanites are heated between 370 to 390 degrees Celsius in order to remove brown spots from the rough, while sapphires and rubies are heated to intensify their respective hues. Without these treatments, gemstone quality crystals would be much rarer and difficult to obtain. More sophisticated treatments include a more dramatic way of improving a sapphire, lattice diffusion. This process combines chemicals and high temperatures to deepen color and produce surface deep asterism. Colorless impregnation strengthens porous jewels like coral or turquoise by filling their gaps with wax, resin or other materials. Irradiation is used on gemstones from diamonds to topaz, employing electromagnetic radiation or subatomic particles to alter a jewel’s crystal structure and by extension its color. Gemstones treated in this way are tested to meet strict safety guidelines before they’re released to the market. (a) The treatment is not permanent. The seller should disclose that the gemstone has been treated and that the treatment is or may not be permanent. (b) The treatment creates special care requirements for the gemstone. The seller should disclose that the gemstone has been treated and has special care requirements. It is also recommended that the seller disclose the special care requirements to the purchaser. 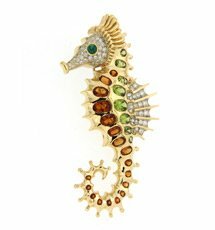 At Valentin Magro New York, we strive to give our customers all the information about a particular gemstone. 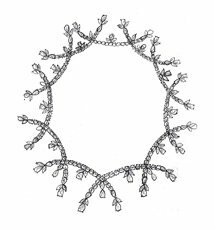 Part of our efforts involves full disclosure of any and all types of treatments, and going above and beyond the FTC guidelines to help our clients best understand their new jewelry. We also explain the reason for that treatment and if the gemstone requires special care. Furthermore, all of our important gemstones are graded by industry leading independent laboratories. With grading, we verify the quality and authenticity of a stone as well as any and what treatments that specific gemstone may have undergone. We want full disclosure and transparency to be worthy of our client’s trust.